I always took my last swim of the season in Mazinaw Lake at Bon Echo Provincial Park alone. Like a teen falling in love with a new beau over summer camp, I’d have my last swim in the lake and say farewell until next year. That’s how much I loved it. Our family’s ritual of visiting the same park ended when my son was diagnosed with a serious allergy to bee stings. 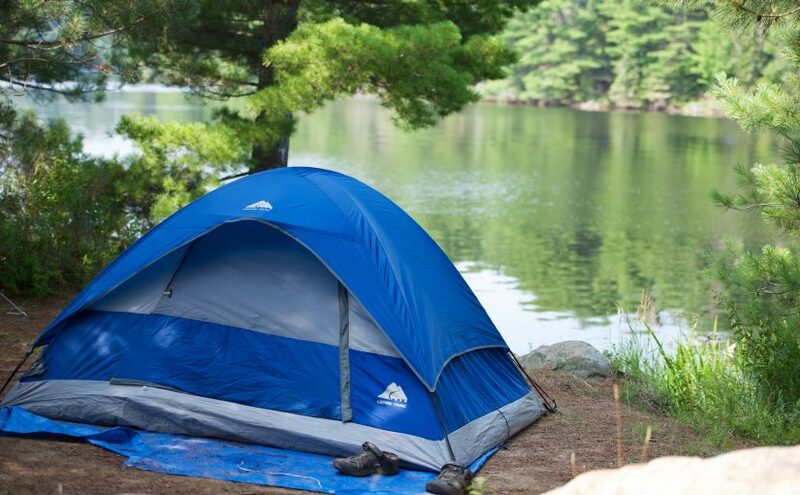 Being more than a 30 minute drive to the nearest hospital meant we couldn’t chance camping at Bon Echo anymore. 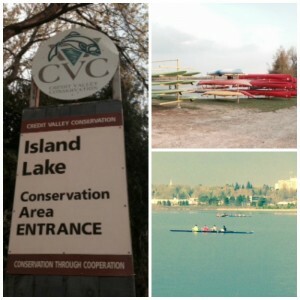 On the upside, we’ve discovered other fantastic parks in Ontario and that has fuelled a desire to keep exploring. So of course when I was asked to join a media tour of the Headwaters Region of Ontario this past May, I said yes. That’s the area just west of Barrie that includes the charming towns of Caledon, Bolton, Orangeville, Erin, Mono and Shelburne. Despite the fact that it is close to my home in Toronto, the Headwaters region has mostly been a place to drive through while exploring Ontario, not a destination itself. Well, that is, up until now. I’m going to let you in on what I’m telling all my friends about the Headwaters Region. You’ve got to admit, it’s pretty sweet when you can start to set up camp after only about an hour on the road from Toronto. Give fly fishing a go! 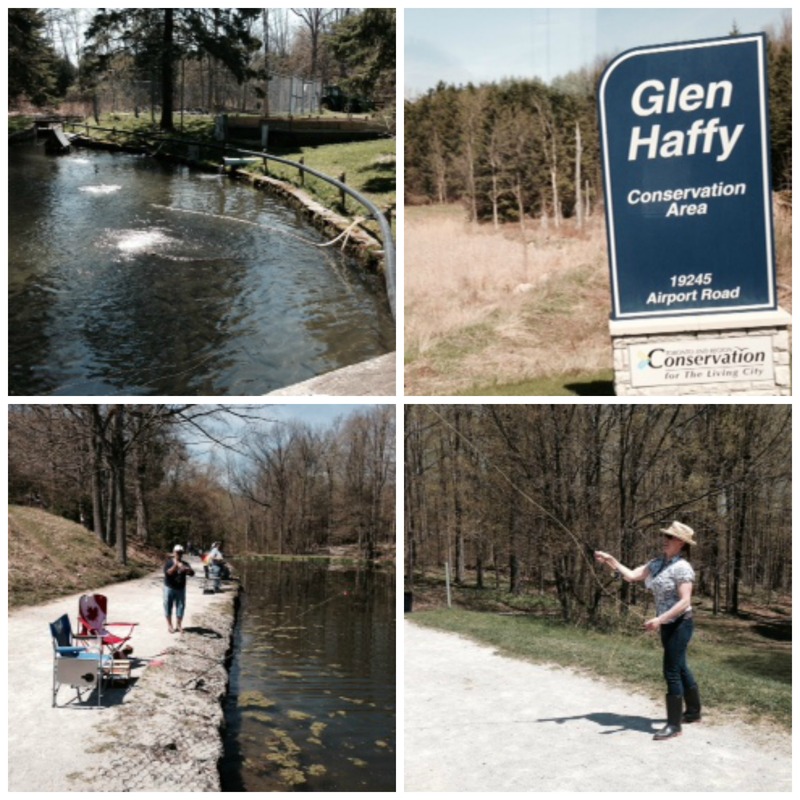 The Glen Haffy Conservation Area stocks their pond with rainbow trout so the odds of taking a fish home are pretty good. After you teach your kids how to fillet and cook a fish, you can enjoy chatting around the fire embellishing the stories of your fishing adventures, just like we did on the bus tour. Yup that’s me and my first try at “back casting”. I didn’t “release” soon enough and my line got snagged in the trees behind. Oops, and it was a nice new fly! Pack a picnic and explore a new hiking trail. There are thousands of kilometers of trails in the Headwater region. I’ve found the Forks of the Credit Provincial Park, and Mono Cliffs Provincial Park trails particularly scenic and Island Lake Conservation area has the added advantage of renting out kayaks, canoes and paddle boards. 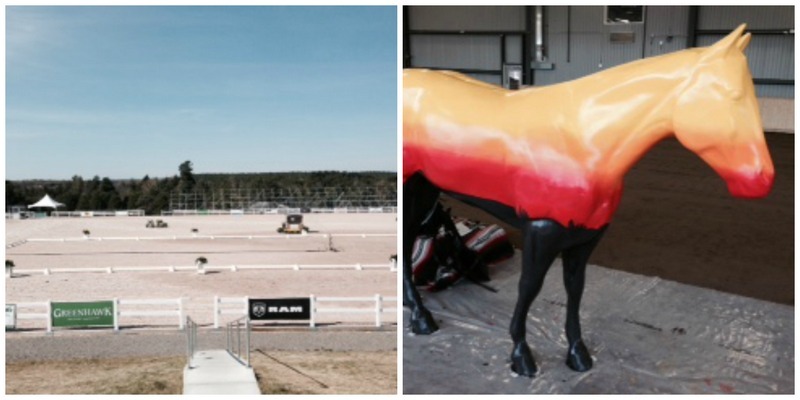 Visit the newly built, world class Pan AM Games Equestrian Park in Caledon. The Pan AM Equestrian events are July 10-26th but there are events on all summer. If your kids love horses, take a Headwaters Horse Country Stable Tour, find out where the Parade of Horses (a series of fibreglass, life-size, beautifully painted horses) are being showcased in the region or go horseback riding. Check out the Pan AM Equestrian Park web page to learn more. Visit a farm to buy some fresh local food and give your kids a glimpse of life on a farm. I’d rather give my kids money to buy something at the market than treating the kids to a sweet slushy drink at drive thru! (Did I mention I was a registered dietitian? ).Try Heatherlea Farm or Landman Gardens and Bakery. I could tell you what they sell but that’s part of the fun exploring. That was the mantra of our media tour where we weren’t exactly sure what was coming up next. We were not disappointed and you won’t be either! The owners are lovely people who would surely take the time to entertain your kids’ questions about what they do on the farm. There are local Farmers’ Markets too. 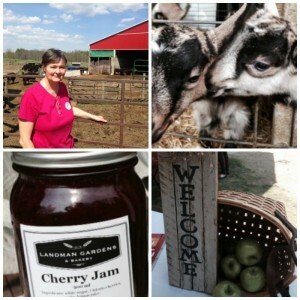 Meet Pat McArthur from Heatherlea Farm. 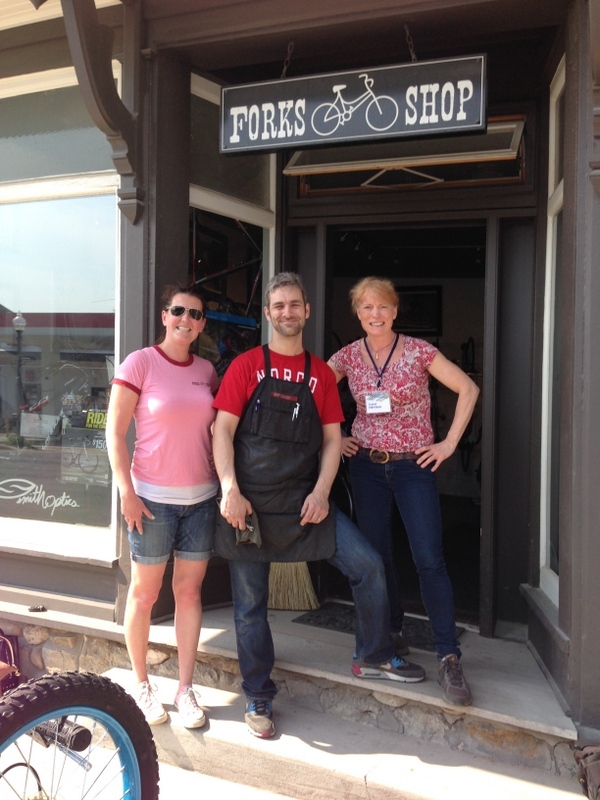 I’d like to plan a several day long cycling trip and with all the charming towns, plus trusty Brian from the Forks Bicycle Shop in Erin to sort out any bike issues, we’ll have a good-old time. Oh and Albion Hills campground has 40 kilometers of bike trails, even a bike washing station, which to me says they take cycling serious. I’d talk your ear off about this region if you give me the chance! There’s so much more that can give your camping trip an interesting twist like a visit to the charming Alton Mill Art Centre where you and your kids can take an art lesson or visit Theatre Orangeville for reasonably priced live entertainment. Brian, owner of Forks Bicycle Shop in Erin, his fun-loving wife Heather on the left and me on the right. Visit The Hills of the Headwaters to find out more and discover that you don’t need to travel far to have the time of your life.